As ADK, with numerous of successful projects under our belt, we can proudly say that we are one of the most trusted servicing companies in CIS and Middle East regions performing both techncial consultancy and trading operations. We strive to maintain the highest standards while exceeding client’s expectations at all levels. 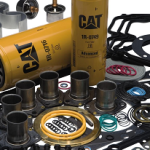 ADK is trustable supplier of an extensive range of genuine and alternative spare parts for Mining – Earthmoving – Power Generation – Marine – Oil & Gas Field equipment. We build entire, responsive and supportive client-consultant solutions which can inspire reinvention from within an organization leading to success and pure satisfaction.